(11-10-2013, 03:34 AM)boar Wrote: I did click on "all data". So not sure what happened. Ok all sorted. Thanks Zonk. Cheers. Do you have the ResMed S9 Autoset, or the Resmed S9 Escape Auto? The latter is a brick and will give you only limited amounts of data. I'm new to this forum. Just got my S9 Autoset Elite with H5i. Downloaded the software and realised that they did not include an SD card... Will any SD card work in the S9 Autoset Elite? (11-29-2013, 10:33 AM)BMW rider Wrote: Hi! (11-29-2013, 10:33 AM)BMW rider Wrote: they did not include an SD card... Will any SD card work in the S9 Autoset Elite? I think the 1 or 2 GigaByte (1GB or 2GB) full size SD cards are ideal for the ResMed S9 machines. Be sure to get the full sized card, not the mini or micro physical size, even if they come with adapters which allow use in a full size slot, because the adapters are flimsy and will soon malfunction. The S9 machines never write as much as 1GB on the SD card, no matter how much storage capacity the cards have. 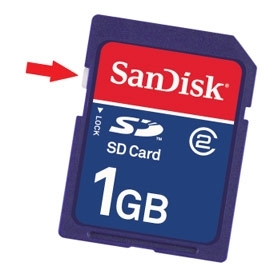 I think S9 machines manufactured in recent years can use the High Density SD cards (4GB and larger) but may be best to just get the 2GB standard capacity full size SD card, which is the smallest capacity commonly available these days. I bought a package of two 2GB SD cards for about US $11 at Walmart this year. I had the same problem with the "pure virtual function" error on a machine running Windows XP SP3 and also a Windows 7 Pro. On the Windows XP machine I was able to run the program by going to the start menu and right clicking properties and the click the compatibility tab and selecting Win2000. On the Window 7 machine I did pretty much the same thing except I selected Windows XP SP2. Hope this helps. Looking at those statistics now. AHI & AI looks good (1,1 0,1 - 1,2)! But what Pressure and Leak values would be Normal? I got Pressure 6,1 - 8,4 - 9,6 and Leak 1,2 - 6,0 - 12,0.